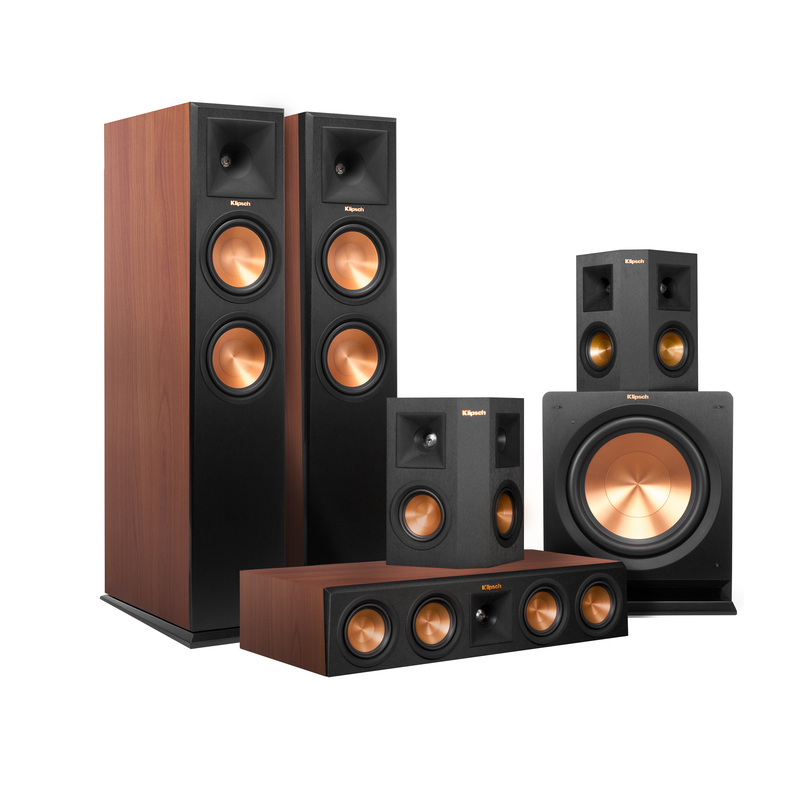 The Reference Premiere RP-280 home theater system is the top of the line in the Reference Premiere series. Your friends will be jealous – your neighbors will be pissed. From the ground up this is an entirely new line of speakers and a completely unique home theater experience. The Reference Premiere RP-260 system delivers an unparalleled music and movie sound stage that feels like your a part of the plot line or have front row tickets to your favorite band. The speakers your TV came with are toys. 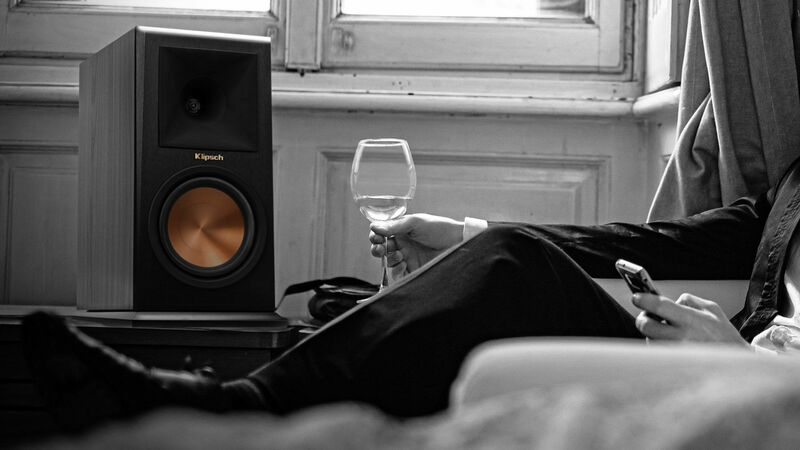 It's time to grow up and become part of the Klipsch Nation. The Reference Premiere RP-250 home theater system is unstoppable. Dual three-foot floorstanding speakers, a crisp center channel, encompassing surrounds and a thunderous R-112SW subwoofer create the ultimate listening experience. Plus, they look awesome too. This is not your average 5.1 system. We've compiled the latest Klipsch technologies to create the Reference Premiere RP-160 home theater system. No matter your room layout, the sleek, compact design makes placing the Reference Premiere RP-160 system easy and delivers a robust, immersive listening experience. Your movies and music will sound better. It's that simple. 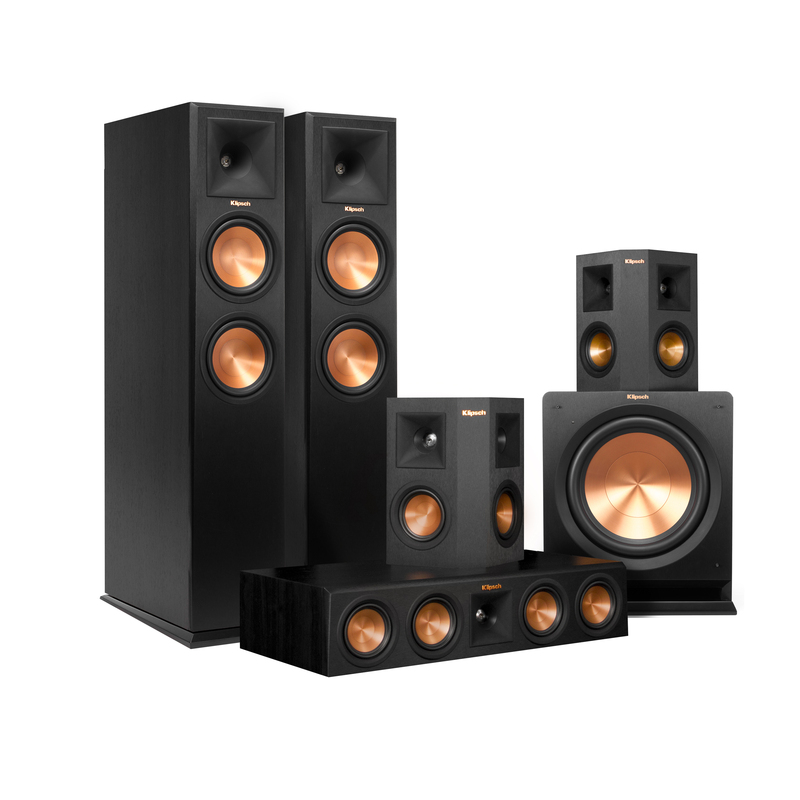 For the price and size, the Reference Premiere RP-150 home theater system is sure to astound you and your guests. Dual bookshelf speakers, a dynamic center channel, immersive surrounds and a thumping subwoofer will take your music and movies to another level without needing much space. We had a mission for the brand new Klipsch Reference Premiere home theater system: blow the doors off the expectations of our loyal following, and get our fans so close to their music they can touch it. 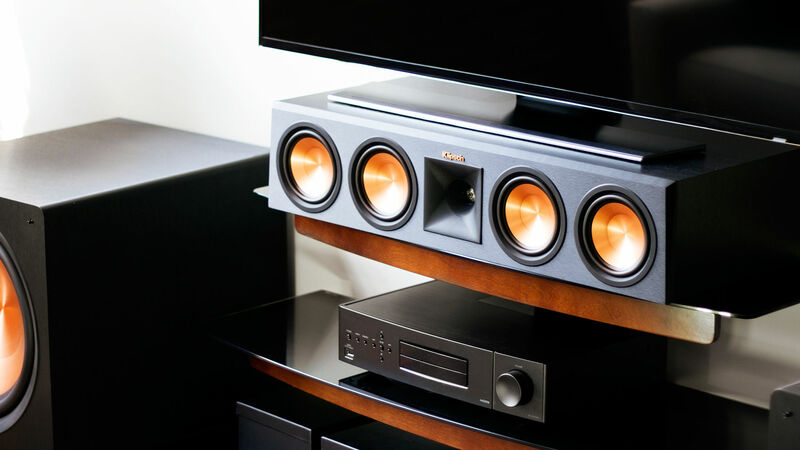 We have melded our engineering expertise and state of the art technology together to produce home theater speakers that will have people falling in love with their music again! 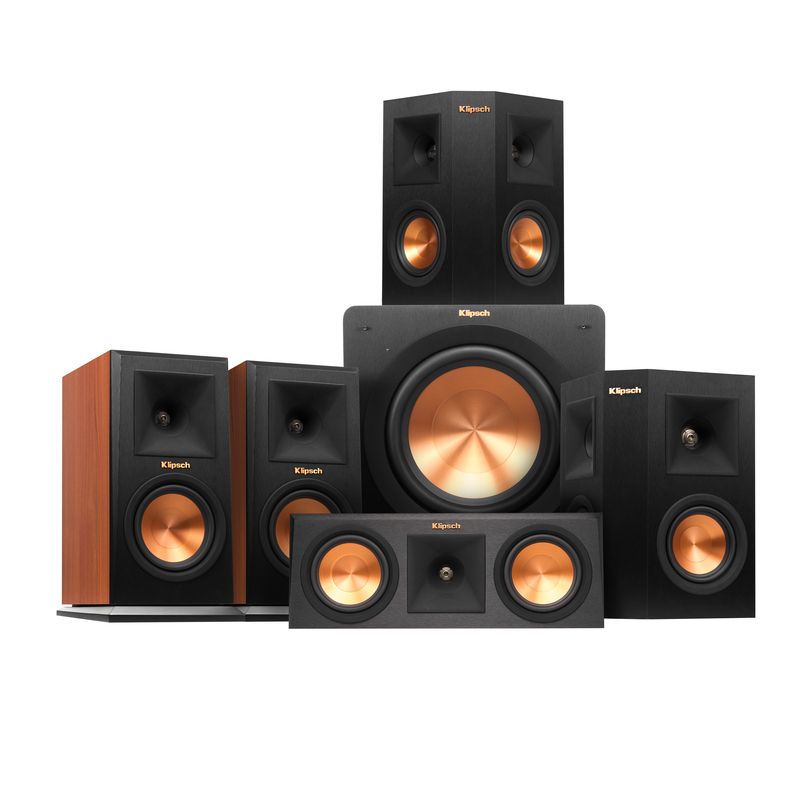 Klipsch’s Reference Premiere system aims to deliver some serious bang for your buck, and they are wildly successful at doing so. 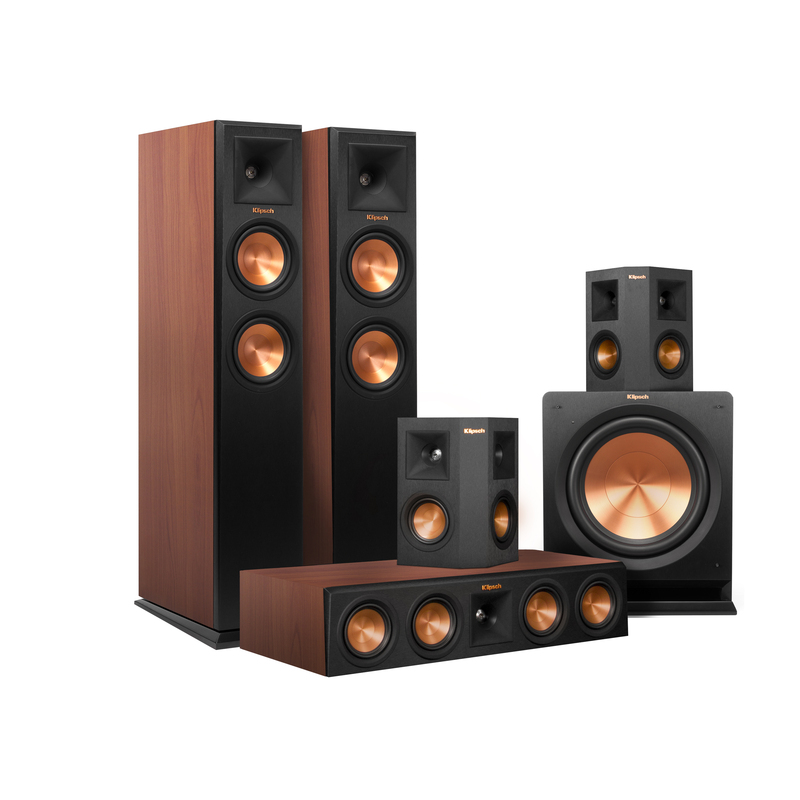 Klipsch has trickled down the technology behind some of its ultra-high-end speakers to the Reference Premiere series, offering the company’s best sound for the dollar yet. A redesigned 90x90 Tractrix® Horn utilizes a circular horn throat paired to a square horn mouth to further improve high-frequency response and extension, while enhancing imaging and dynamics. The compressed molded rubber construction adds high frequency damping to reduce harshness and improve detail. This creates the cleanest, most natural sound possible. 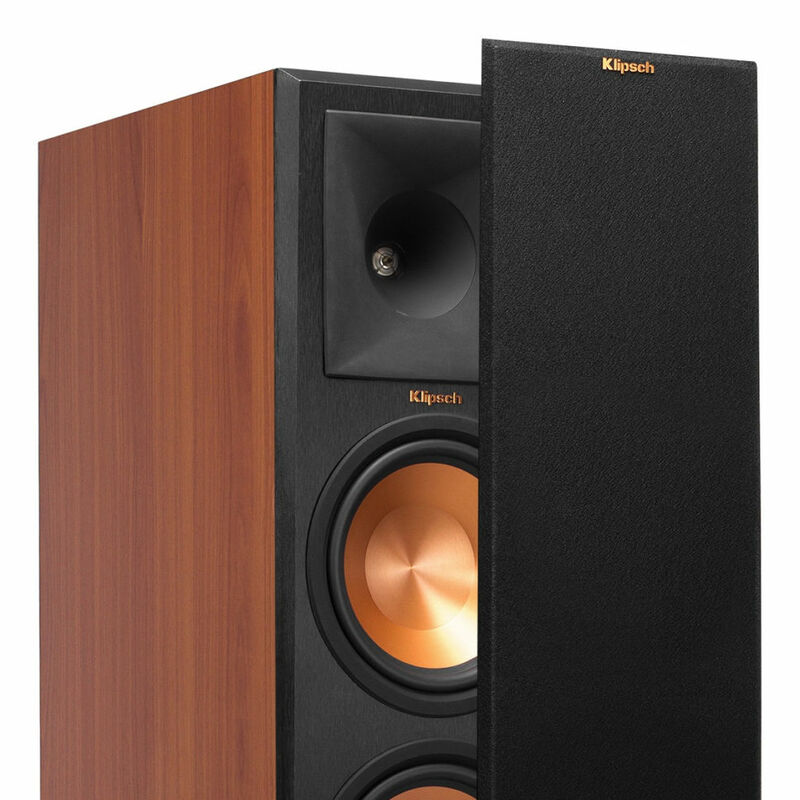 Overall, Klipsch's system pulled off a performance that left my jaw on the floor more than a few times. 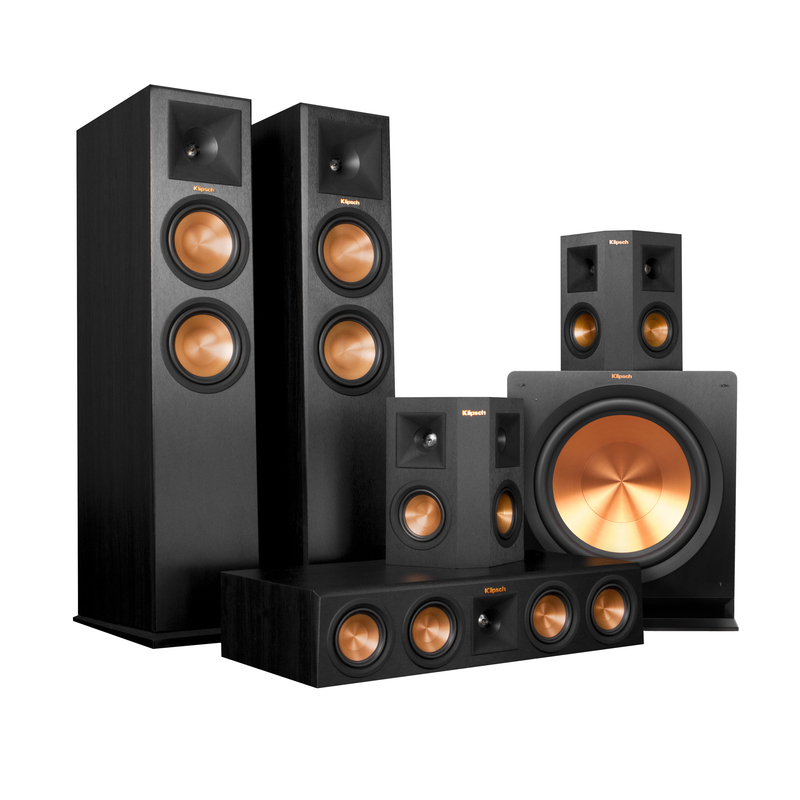 Indeed, it's probably the most dynamic and impactful surround system I've auditioned thus far… Klipsch speakers are capable of playing at reference levels without causing listener fatigue. 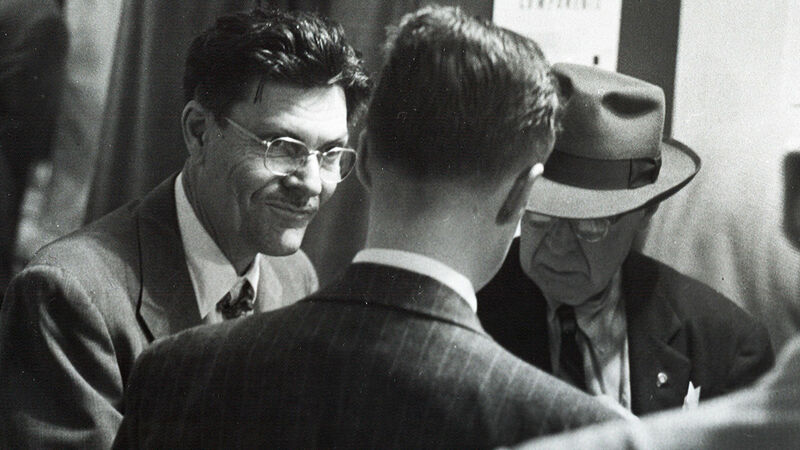 This system can do precisely that, and a whole lot more, which is why it earns my highest recommendation. A Linear Travel Suspension (LTS) Titanium Tweeter minimizes distortion for enhanced, detailed performance. 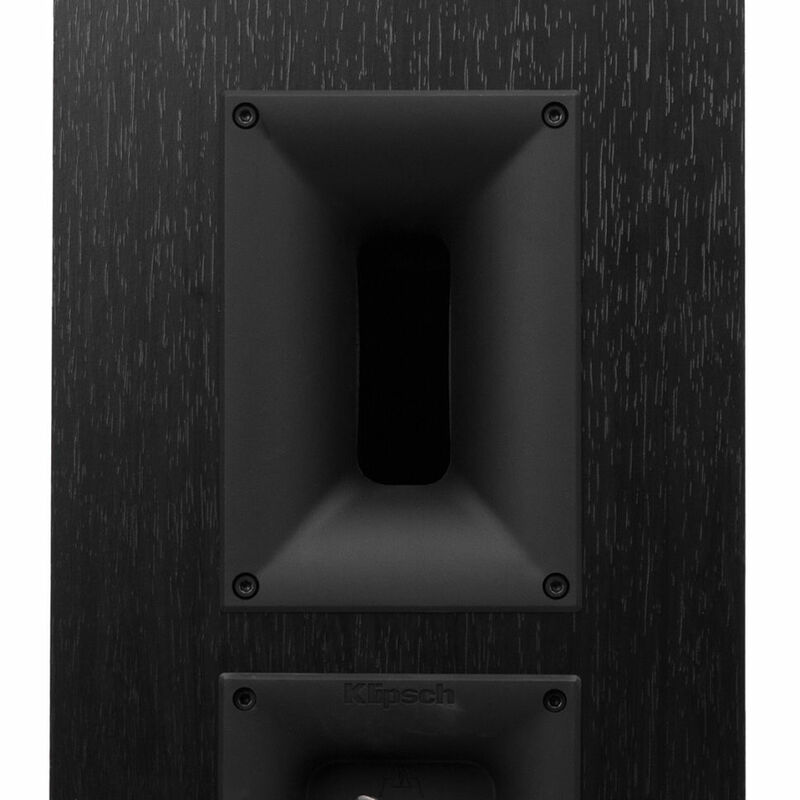 LTS Tweeters have been a hallmark of previous Reference lines, as well as our flagship Klipsch Palladium series, making it a core component of some of the best speakers in the world. Strong, flexible, removable grilles attach magnetically for an elegant transition from powerful showstopper to a discrete performance piece. 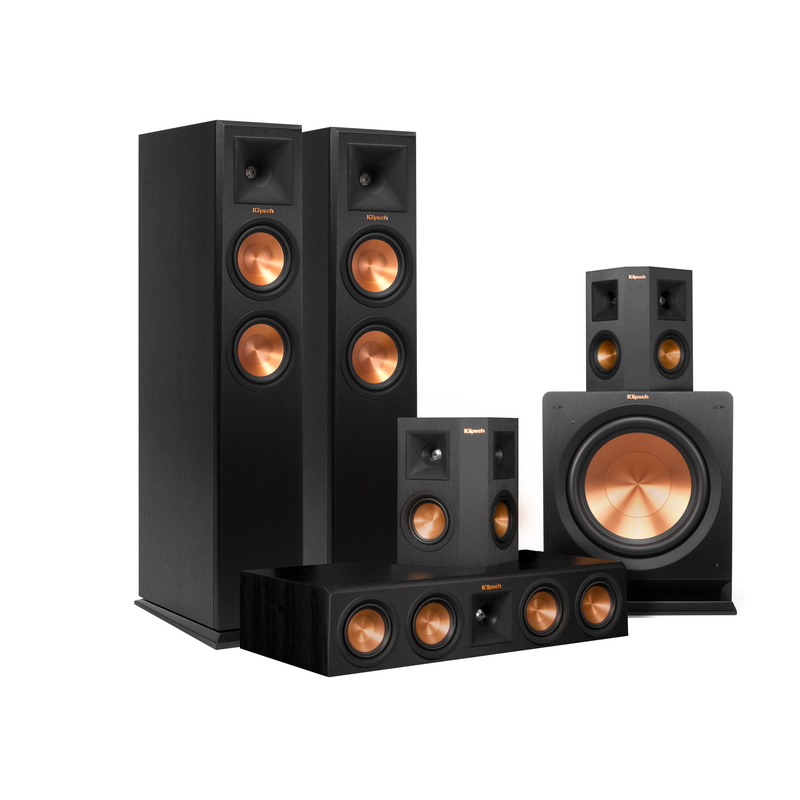 The Klipsch Reference Premiere speakers and subwoofer deliver maximum home theater dynamics and power with ease, and sound great with music, too. 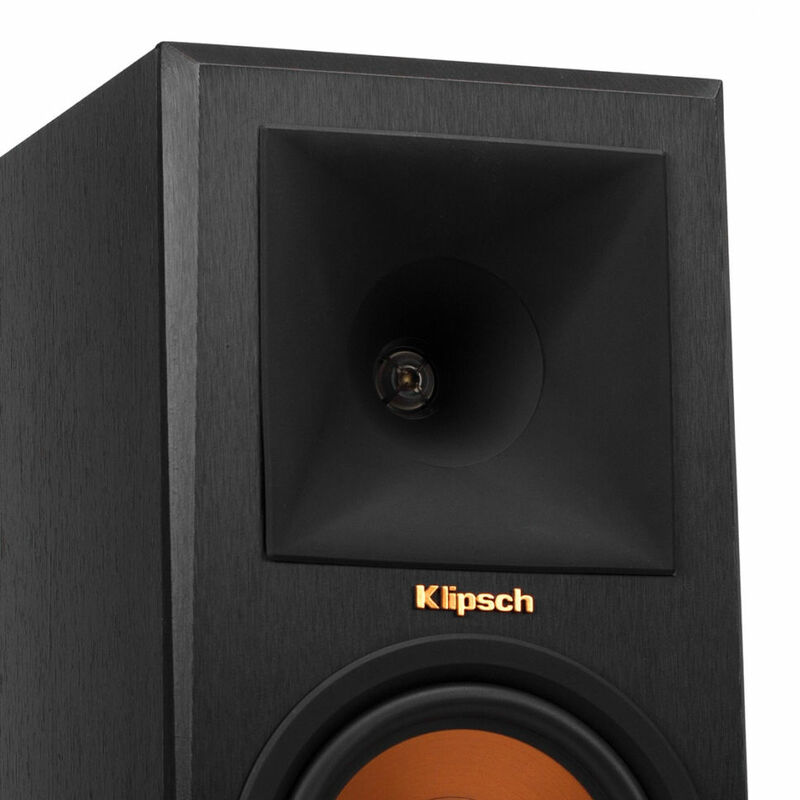 What the Klipsch Reference Premiere system does well, it does brilliantly. It extracts maximum information from movie soundtracks; the RP-250C center in particular is a dialogue-intelligibilty champion, and the RP-250S surround helps construct a convincing soundfield. The RP-150M monitor also meshes satisfyingly with vinyl and the more refined forms of digital audio. Dimensions: 14.57” x 7.67” x 10.67"
Dimensions: 13.5” x 12” x 7.92"